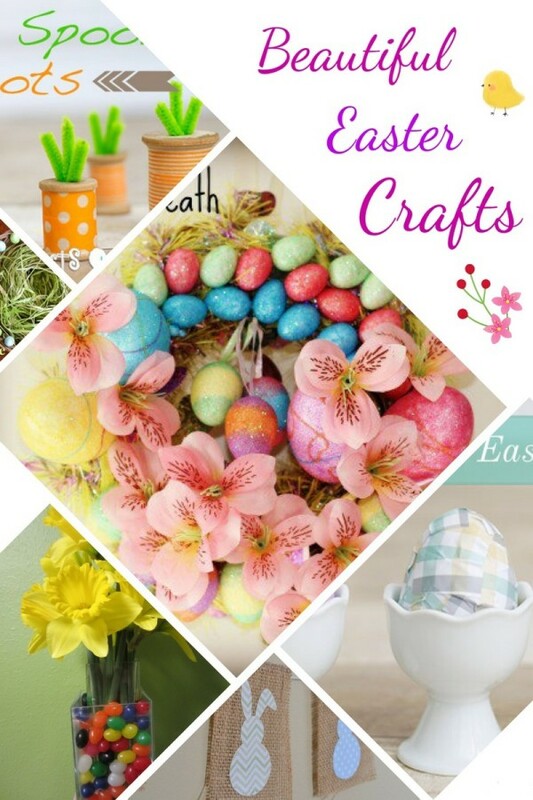 Kick winter to the curb and craft up some cute decorations for your home with these nine beautiful Easter crafts. They’re perfect for a little mom time or for doing together with your kids! Hey, guess what? It reached 29 degrees outside this week! It’s SPRING! I never thought 29 would feel so warm, but after the sub-sub-zero temps over the last two weeks, that 29 is practically beach weather. Okay, so maybe it’s not spring yet, but we’re getting there. If you’re not feeling it yet, these oh-so-darn-cute Easter crafts will give you a bit of a push. I, of course, didn’t make a single one of them. I’m not that talented. The bloggers who did make them, on the other hand, ooze talent. Not in a festering, icky way. More like fairy dust. They ooze glitter. And possibly Mod Podge, which apparently is NOT called “modge podge.” Who knew? Enough of my chatter, check out these charming Easter crafts that are just perfect for moms to do with kids! I’ve never actually made anything with Washi Tape, but these cute Thread Spool Carrots from Crafts by Courtney make me want to run out and buy some right away. Now I just have to search Bing to find out exactly what it is! I keep seeing all these adorable crafts made with it! Only $4 to make this super cute Easter Basket centerpiece from Savvy Saving Couple? Now that IS savvy! Cute too! Leaves plenty of room in my budget to fill it up with chocolate! Since I only like three flavors of Jelly Beans (unless they’re fancy gourmet jelly beans, or Jelly Belly, they have a ton of flavors I love), I tend to have a lot of leftovers. 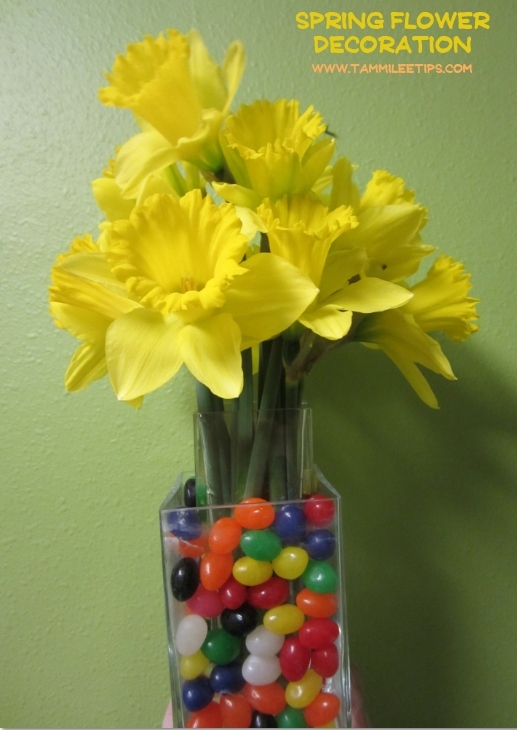 This cute Jelly Bean Vase from Tammilee Tips is a perfect way to use them up! 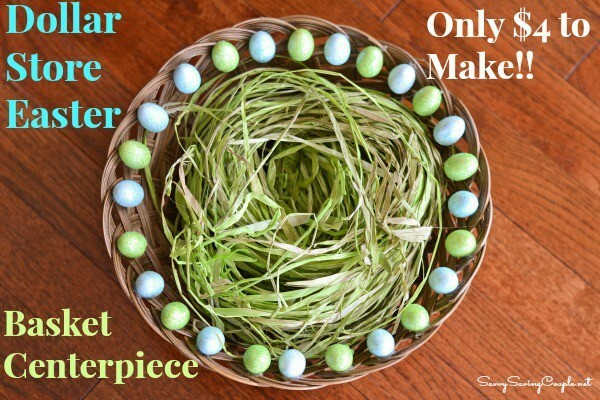 I always loved this super easy Easter Craft candle holder over at OurFamilyWorld. You can put so many different things in it, from flowers to candles to pencils to little treats! 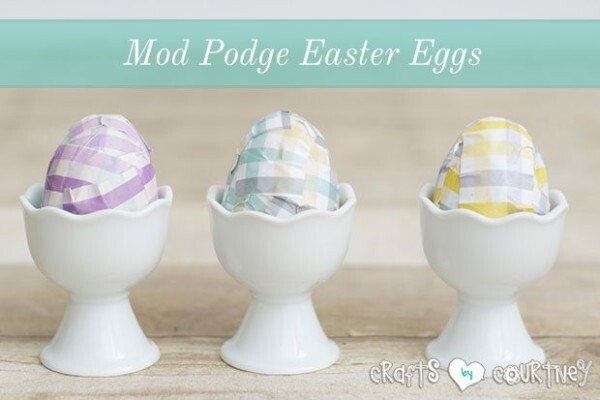 It takes just four things to make these pretty plaid Mod Podge Easter eggs from Crafts by Courtney! Make a dozen for your mantle or give them as gifts! 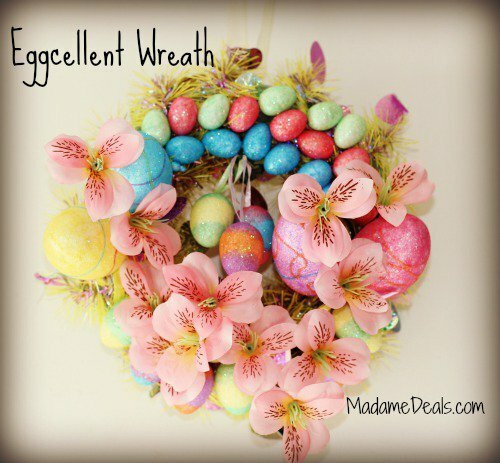 Just the picture of this Eggscellent Wreath from Madame Deals looks like a work of art, so imagine how beautiful the actual craft looks in person! 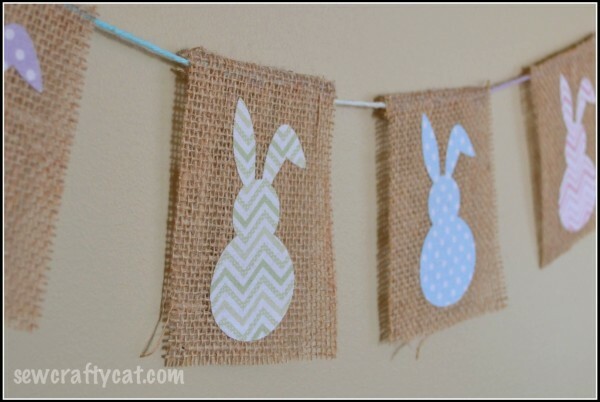 Isn’t this Burlap Bunny Bunting from Typically Simple just so cool? It has the whole shabby chic thing going on. When I try to do that, I just end up with the “shabby” part. With this tutorial, though, maybe I can finally master the chic? 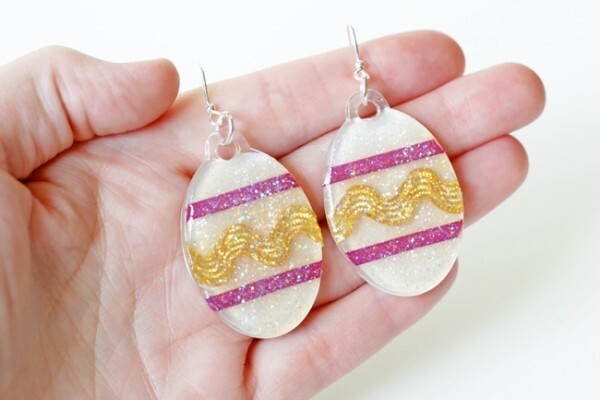 Add a little sparkle to your Easter wardrobe with these pretty Easter Egg glitter earrings from Mod Podge Rocks. With her detailed tutorial, they actually look easier to make than the darling finished product would lead you to believe. 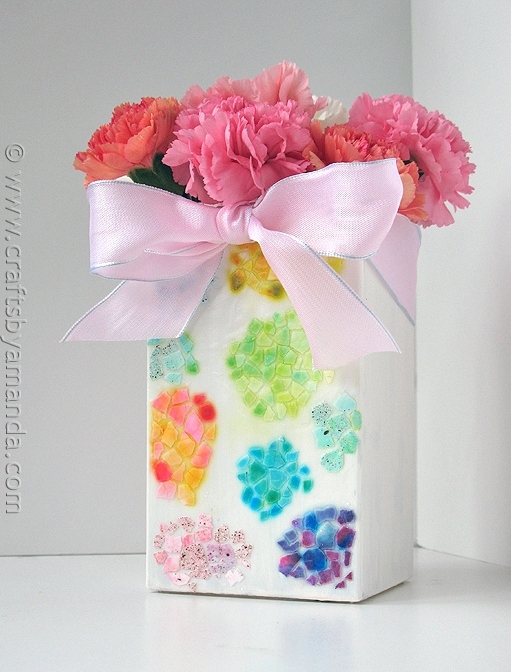 I so want to make this beautiful Egg Shell Mosaic vase by Crafts by Amanda this weekend! It’s just so colorful, perfect for holding those flowers that will eventually bloom! There ya go! That should get you started on your Easter crafting! 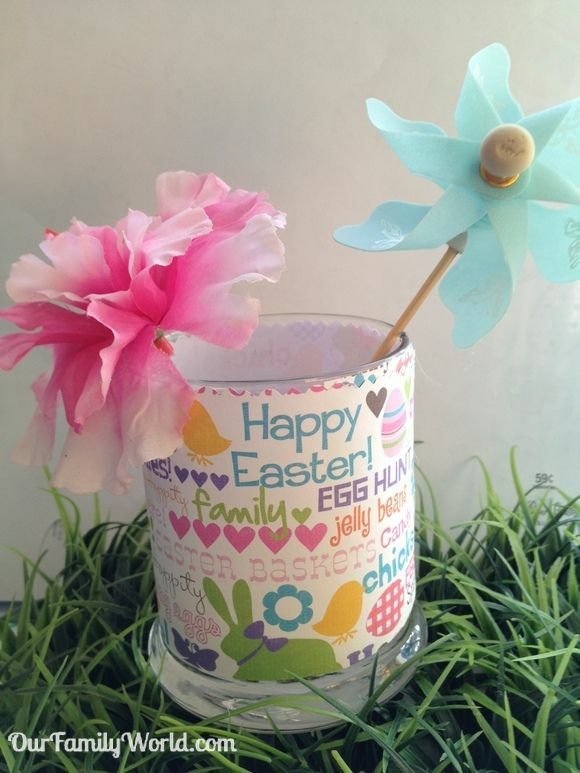 Do you have any favorite Easter crafts that you like to do either during you “mom time” or along with your kids? Tell me in the comments! Oh such fun ideas for Easter! 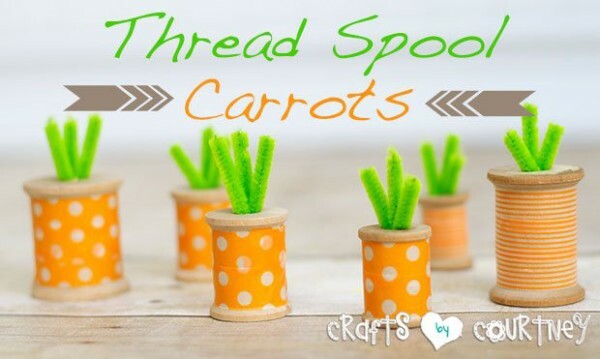 I love those thread spool carrots! What a fun idea! I love the wreath! I’d like to make one to hang on our doors!